Size: 3.65 x 2.77 mt. 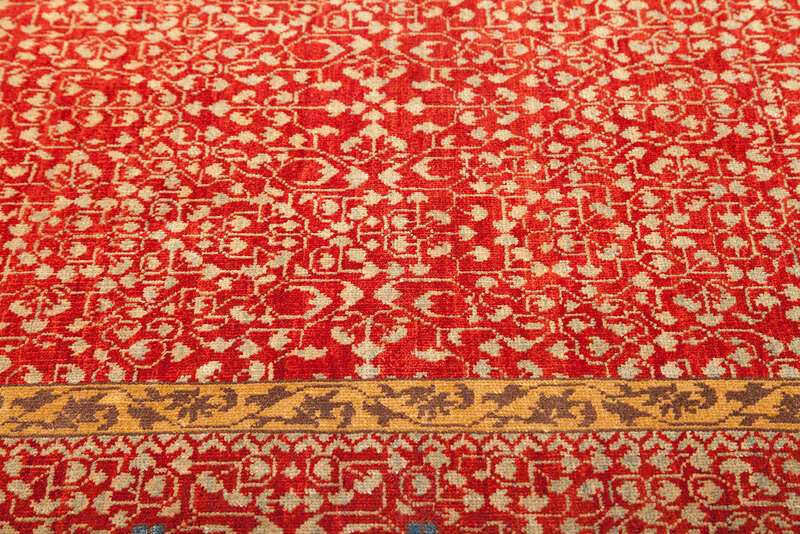 The Mamluk rug designs are reflecting famous Egyptian and Ottoman Ushak motifs. 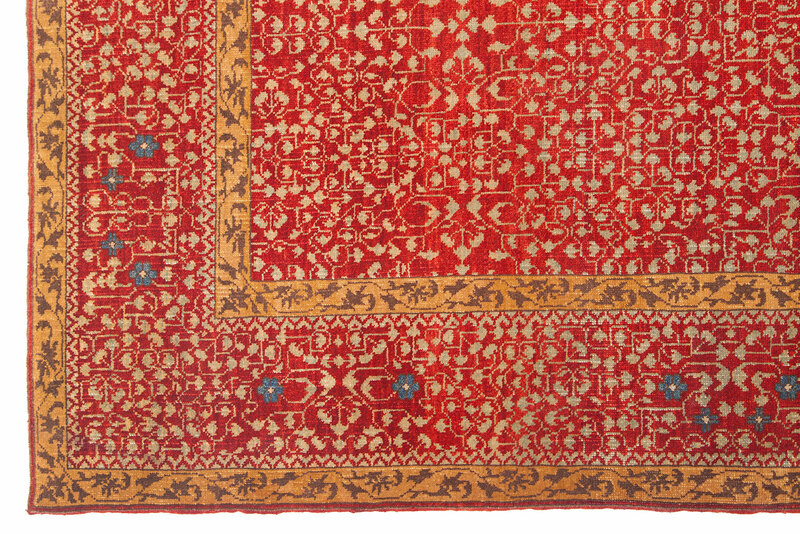 Mamluk rugs have fine weave and soft colors dominated by pale greens, blues, yellows and reds. These handsome rugs are hand knotted mostly in large formats with an octagon medallion in the center. Tiny geometric motifs surround the medallion creating an almost polychromatic effect. Mamluk rugs have a majestic quality and to be more than just fine carpets but mathematical, mystical, sophisticated works of art. These outstanding rugs with their unusual geometric designs and stylized floral oriental motifs, mixes centuries of old creative art with today's modernism. 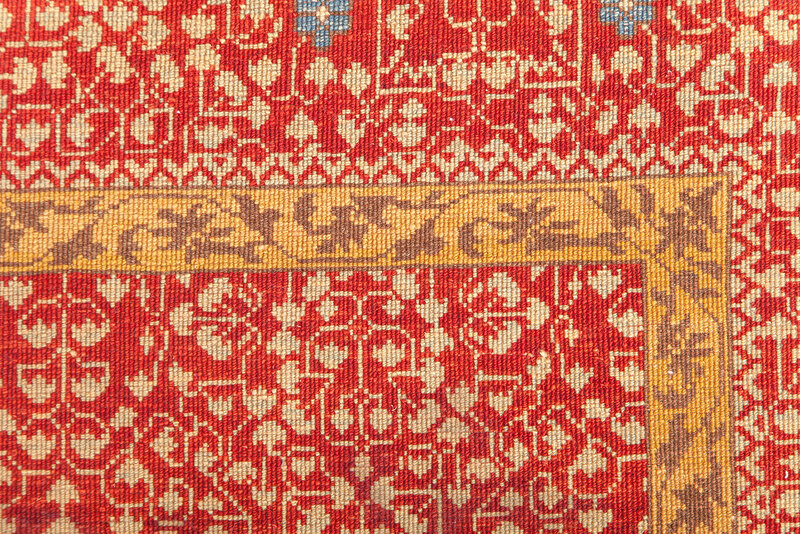 The Mamluk rug designs are reflecting famous Egyptian and Ottoman Ushak motifs. Mamluk rugs have fin..
One of the finest and most prestigious carpets in the world, is currently woven with Turkish double ..
Agra is a city in India and has been a key carpet manufacturing center for centuries. Elegant Agra r.. 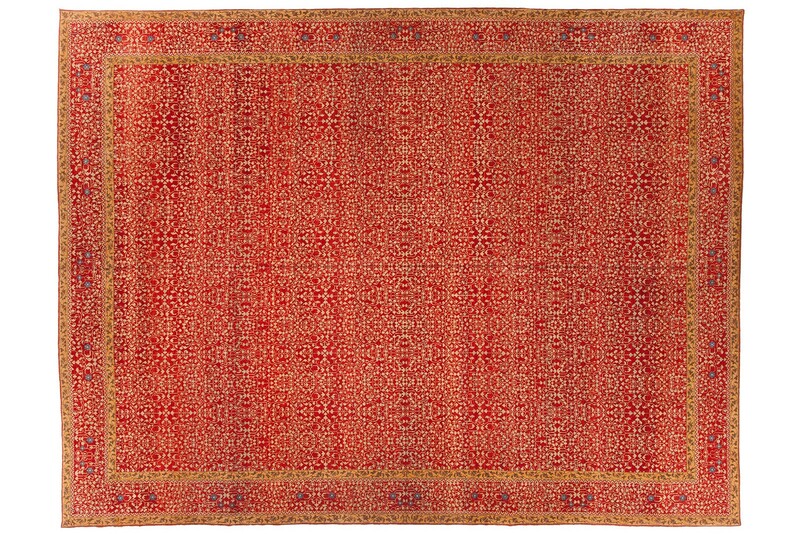 These phenomenal rugs are hand knotted in Turkey with vegetable dyes and handspun wool. Serapis inc..